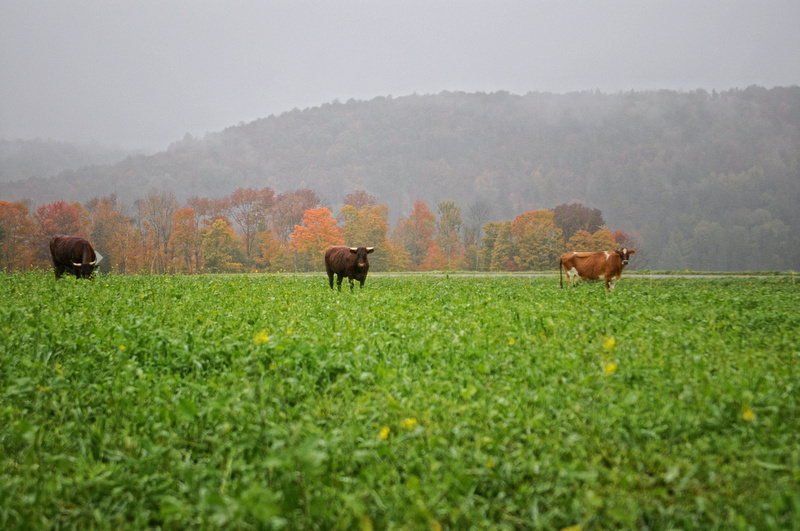 We weren't too happy with the rain, but the cows didn't seem to mind one bit! The farmstand had all sorts of produce and products for sale. I bought some cherry tomatoes and a pumpkin. I aways support the local farmers whenever I visit and I hope you do too! I hope you can make the time to stop by this beautiful farm. It is well worth the visit.....and if the weather cooperates......it is a photographer's dream!!!! Abby, thanks for discovering, sharing information about and posting pictures of Chandler Pond Farm. Rain or shine, love seeing what that area looks like. Your announcement extends a nice invitation to come on out to enjoy this beautiful farm as well as support the locals. Definitely, will be a great photography op destination for many in different seasons! 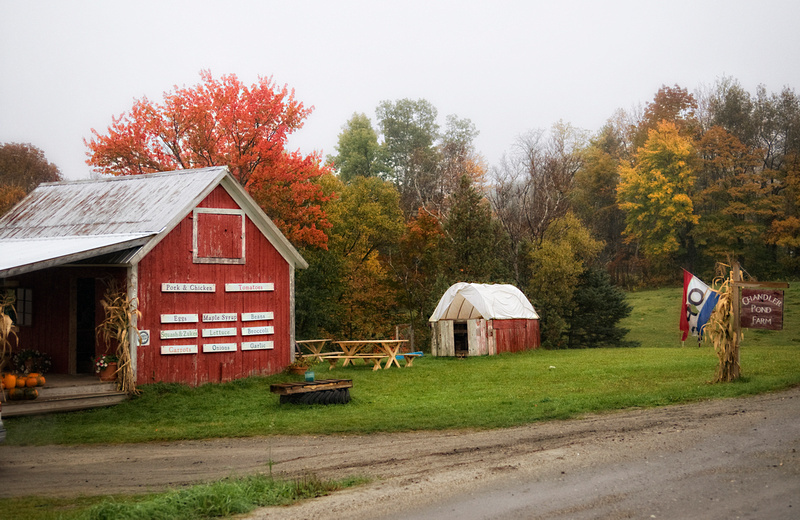 Love the picture of the Sugar Shack and the Red barn with the beautiful tree. Note to Moderators, is it possible to transfer some of this season's great new postings under the current sticky threads of same topics? Soooooooo jealous you got to walk around the property. We went past but I felt bad just stopping without notice. 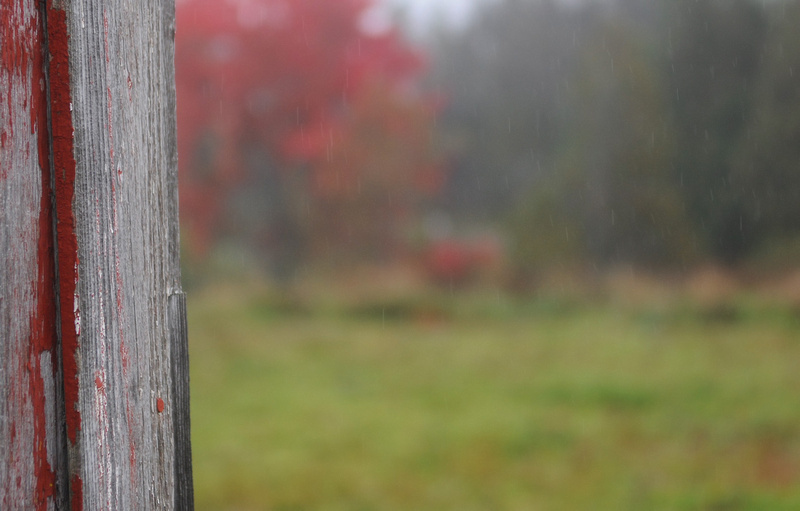 It was downpouring though, not just a little rain. It was beautiful from what we saw. LOVE the sugarhouse image. We drove nearly 2 hours out there and it just dumped and dumped. I'll pretend I took the shots you got What are you doing to post-process your images? Your photos are so rich! Thanks Aspen. I am thrilled to be able to tell folks about the local farms etc. and this one is a pure gem!!! Also, we will work on placing some of these new finds on the Sticky posts. That is a very good point. Ziggy: I can't believe you just drove by!!!! You should have stopped. I had rain gear on myself as well as my camera. It was raining steadily the whole time we were there. I wanted to go back all week hoping for a clear sky day, but alas, that never happened. The views from the top of the hill lead your eye all the way to the White Mountains in NH. Oh yes....I will surely be going back to visit here again and again. It was POURING, like couldn't see 10 ft in front of us and THICK fog and a $1000 rental lens = no way! ha! ziggy_423 wrote: It was POURING, like couldn't see 10 ft in front of us and THICK fog and a $1000 rental lens = no way! ha! Yikes Ziggy. I would not have taken a chance with a lens rental either. Gorgeous pictures! Can you give me some good directions to get to this farm? I am using the Delorme atlas and I see Chandler Pond. Is it right there? Yes! It is where Chandler Pond is on your atlas. 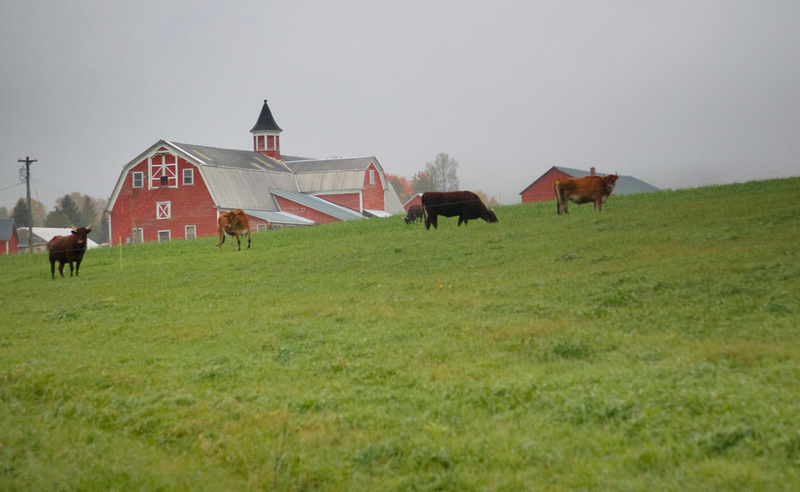 Take Rte 122 S Wheelock Road to Cold Hill Road, then take a right onto Burroughs Road and you will come upon the farm. It's a very special place and I am planning on returning here this Fall. Good luck!! Thank you Abby! I will probably have many more questions in the next few weeks. Time to get really serious in planning our upcoming trip! Bring on the questions Sharan. My plan is to visit the Chandler Pond Farm on October 7th. Also Stannard Moutain Rd and then Jay Peak. From what I am hearing from all of you, season is a little early. Do you think I should skip this drive and plan something else? We are staying near Lyndonville and I can't really change that. What do you think? Since you are staying in Lyndonville, Chandler Pond Farm is only a couple of miles out of town and worth a quick trip, even after peak season. There should still be some leaves on the 7th. Carol: I would like to go here too before Stannard Mtn. Road. Are you and the photog club going there this weekend? Maybe you can let us know how it will be for color Monday. My plan is for Phil to take me to the NEK Monday the 30th but he doesn't know about this side visit yet. My answer at this point is "I don't know". I'm actually going to be at Chandler Pond Farm this Friday. For sure. So, I will post an update on this thread sometime on Saturday. I'm hoping the colors hang on this year. The foliage is so fickle, so your best bet is to keep an eye on this post with an update from me......and also next week, keep checking back here on the forum for updates....especially from From the NEK who lives right in that area. I'm hoping you do visit this place. It's a photogrphers dream. And to all others who may be reading this post, I have a reminder for you to please please support the local farmers, and if you do visit this farm or any other farm, please buy some goods from them. They need our business. Thank you! ****EDIT**** I am editing because I just realized the haying video was probably taken earlier than 2 days ago, because it was taken during the full moon. OOps. Soory.....so I'm sure that is why the colors don't look as far along as I thought they should be.....because it was taken longer than 2 days ago. DUH! Last edited by abby on Wed Sep 25, 2013 2:32 pm, edited 1 time in total. My goodness things happen fast around here. LOL I just posted my reply, and by the time I got it posted, within 2 minutes, both CT and From the NE had also posted. So yes CT, I am taking my club here on Friday, and as I just wrote to Sharan, I am going to post and update on this thread. 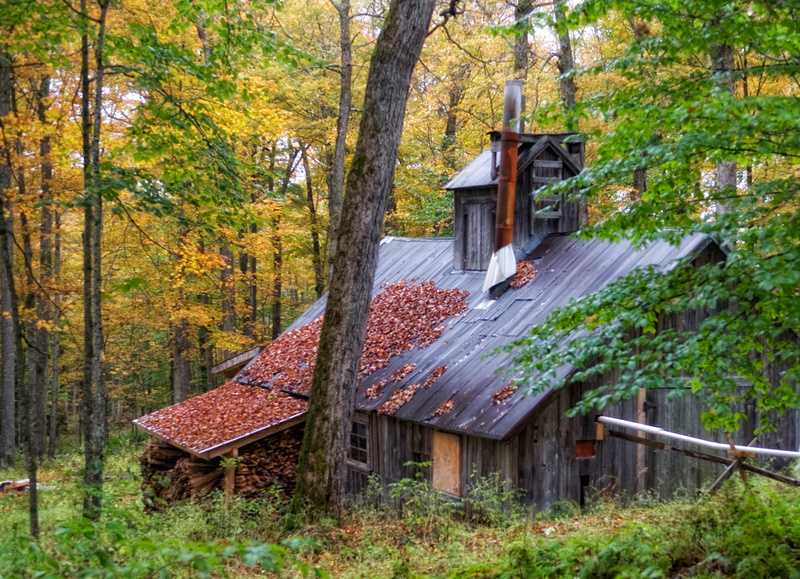 Be sure when you visit here to check out the sugar shack, the barns, and the pond itself is behind the barns. The family is very welcoming to visitors!